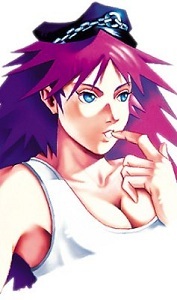 Being transgendered myself, I’ve always been intrigued by Poison with her gender ambiguity. Some people admit to finding her attractive, but refuse to believe she was born anything other than 100% physically female. Others know the truth…that in Japan, she is officially a “newhalf”…and in America, she is a post-op transexual. 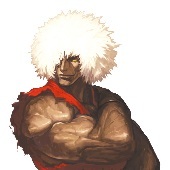 There is proof of this in the original character sketches for Final Fight, Poison’s first appearance. This was drawn on paper with a mechanical pencil and colored in Photoshop. 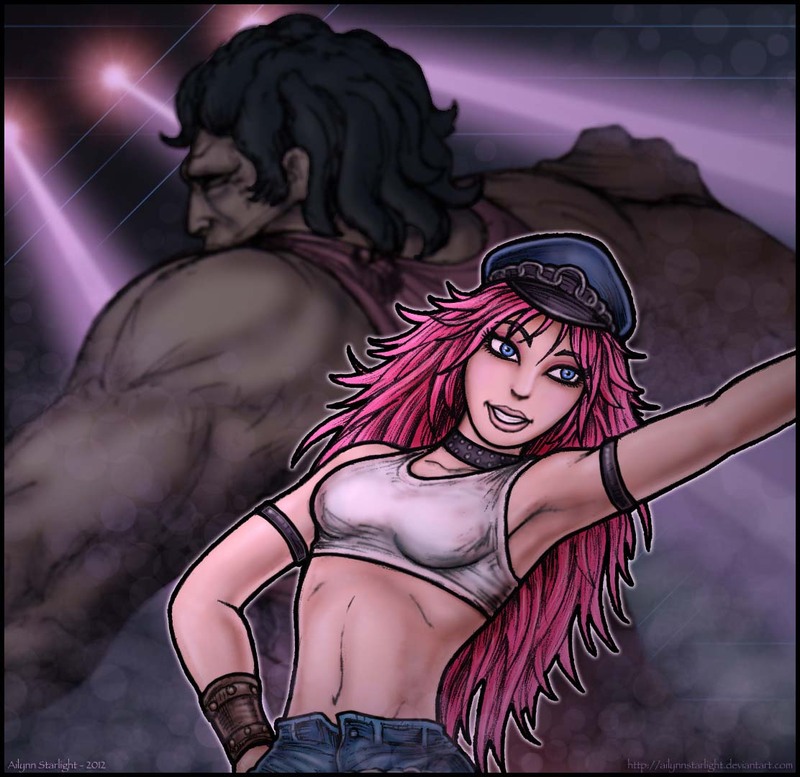 I wanted Poison and Hugo to both be in the drawing, but I definitely wanted Poison to take center stage, what with her FINALLY becoming a playable character in the recently released Street Fighter x Tekken. I drew her arms purposefully a little larger than most female arms would be on a body that size, as I thought that made her look ever so slightly androgynous. Till today many fans are making jokes about this and discuss it.